You can see Elizabeth Bonaventure has 9 Demi-cannon, and 7 Demi-Culverin. Anyone know how many of these would be broadside and/or where they might be if not broadside? would they mix and match gun ports? or would they have 2 different types of stern chasers? Any help in this area would be greatly appreciated! This early period is really difficult to pin down, hence the lack of rules compared to the later 18th and 19th centuries. From what I have read there seems to be no standard to the mounting of guns either in numbers or position. It seems to be down to individual captains/owners preference or pocket. Also given the difference in tactics during the period you are covering you might have to have firing rules/tables for different periods rather than a single system. Good luck with the project, I hope it works out. Cheers Vigilant, I thought that might have been the case (and have read about countless refits and rebuilds of these old galleons), so looks like I'm just going to have to fudge things a little and try to use contemporary images to work out if there were stern chasers. I heard that the Spanish tended to have their largest guns as stern chasers, but I'm not sure if the English followed this course (they don't seem to be the types to 'follow' anyone in this period). There are a (very) few reference books on the 16th century ships but, since the actual "official" information is so scant from that era, they are probably more speculation than factual. Osprey has several reasonably cheap books on the ships of the period. As already stated: it's hard to know for sure. I would go further and echo the comments above: there was little consistency. The gun battery aboard any 16th-17th C. ship was pretty much guaranteed to be a potluck assortment of whatever was available during arming. I suspect any captain spent some time rearranging his guns to suit the balance of his vessel, and to deal with ongoing maintenance problems – moving heavier guns onto stronger timbers, tying stronger guns to stronger hull sides, moving guns out of areas where damage or rot had weakened the wood around it, etc. Heavier guns will tend to be lower, and usually further aft. As mentioned above, heavy guns also got used as chasers fore and aft, because longer guns were regarded as better for taking long shots, and tended to be heavier (not to mention they would also fit better along the length of the ship than across its breadth). Guns of the early period (in fact, until late into the 17th C.) were very unique. They were hand-crafted by skilled artisans from a single mold that was destroyed in the casting process, and while gunmakers tried to repeat successful designs, each gun had a "personality", with differing weight, length, girth, caliber, straightness and centering of bore, etc. Some guns acquired individual names because of their characteristics. The odd naming conventions we know from the 16th C. (e.g. Sakers, Falcons, Culverins, Cannons, Pedreros, etc.) were an attempt to introduce some sanity into artillery park management, but it took time to gain traction, and it was never an indication of true order and consistency like one would find in a mass-produced artillery park of the 19th C. onward. Until at least the middle of the 17th C., many guns only loosely fit their nominal descriptions, and the gun founding industry wasn't really capable of making truly repeatable gun designs until well into the 18th C.
Gun complements were also not very static until the late 18th C. Guns tended to be added or removed to suit the voyage or the changing condition of the vessel, or replaced as the guns themselves aged (bursting guns were a real problem). Starting in the middle 17th C., it was very common for warships on extended service outside European waters to have reduced artillery complements and many unoccupied gun ports. I think this was partly because the big naval wars of the second half of the 17th C. encouraged warship builders to pack their ships with as many guns as would fit, which made them more effective in combat but introduced problems on long voyages. On Anson's 1740s circumnavigation raid of the global Spanish empire, his 60- and 70-gun ships were reduced to less than 60 guns apiece before leaving English ports. This was partly to increase room and livability aboard, partly to trade weight of guns for weight of ships' stores (food, water, spares), and partly to increase seaworthiness, but also because wooden ships just got weaker with time as the structure deteriorated. Fewer guns meant less stress on the hull, and also meant there were "spare" gunports available in case a gun had to be moved to a less-rotted area during a year-long (or multi-year) posting abroad. For similar reasons, it was common for warships with long service records to occasionally reduce the gun complement during a refit. Records through the middle 18th C. show ships occasionally rerated as guns were removed to accommodate aging timbers. I have come to divide the period stated in the OP into two major eras: the "galleon" period until the 1650s, and the "line" period starting with the Anglo-Dutch Wars in the 1660s. Galleon-era ships tended to be unique in construction and armament, each having a pretty unique personality and panoply. State-funded warships of the "line" period were built to more consistent design establishments and so tended to fall into clear categories that varied more per nation and/or shipyard than per vessel. Converted merchantmen remained quite unique until well into the 18th C., with the proviso that "Indiamen" of each nation tended to be somewhat more standardized (at least within a single generation) for simple logistical reasons. This article by John F. Guilmartin sheds a lot of light on the problems of the period. This chapter excerpted from Guilmartin's book Gunpowder and Galleys is also quite illuminating. 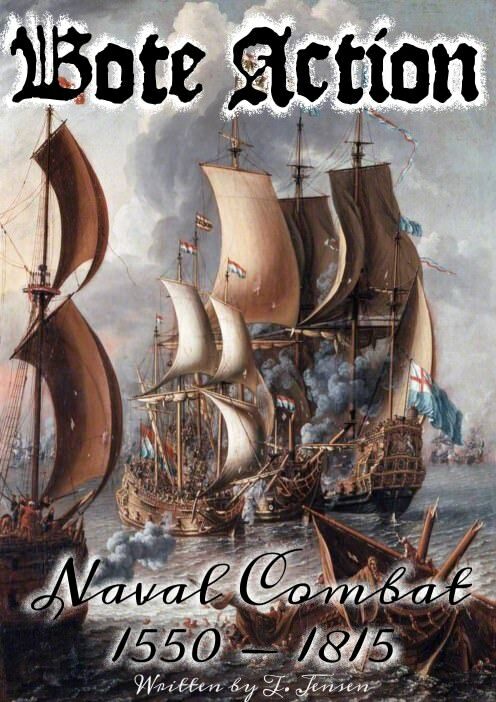 If you're going to write rules for 16th C. naval warfare, I recommend reading the whole book, it's excellent. Guilmartin also wrote a good book more focused on Galleons called Galleons and Galleys, but it's more of an overview and introduction, not as thorough as Gunpowder and Galleys. I wish it had existed when I started learning about the period, but I found it little help in developing wargaming mechanics. Commonly some of the heaviest ordnance would be in the stern chase. Early on some guns are mounted to cover the waist from the castles to deal with boarders. Also you sometimes see long guns in the stern castle arranged to fire forward as part of the fore chase armament. (eg at Cadiz where the English maintained a fire fight with the defending galleys using their fore chase). Regarding odd numbers, some ships carried guns intended to be landed to support sieges and the like, so it is possible some guns were not mounted to be fired from the ship. Given their weights, I could see a stern chase of one Demi-Cannon and one Culverin. Thanks so much for the great replies everyone, some great book recommendations there, I've ordered a few of those and will read the linked articles. I will certainly be organizing the periods based on their realities – the Armada period being a hodge-podge of different ships with different armaments, then the ADW's being a lot more uniform, and so on. I will confess that age of sail warfare is pretty new to me, so I'm trying to start at the start and will work my way through the various periods and conflicts, suiting the gameplay to the period as best I can. This seemed to work pretty well in Missile Threat – being able to cover a long span of time (Air Combat from 1960 – 2000) with the same basic mechanics, but having specific unit (and weapon) rosters for each period, and some special rules for each period too. The long period from 1739-1763 saw multiple wars (including the Seven Years' War) but also one of the most famous victories (Quiberon Bay 1759) and two the worst debacles (Toulon 1744, Minorca 1756) in English naval history. Very interesting, thanks Ix! I'll take a note of all those battles and research them as I go.